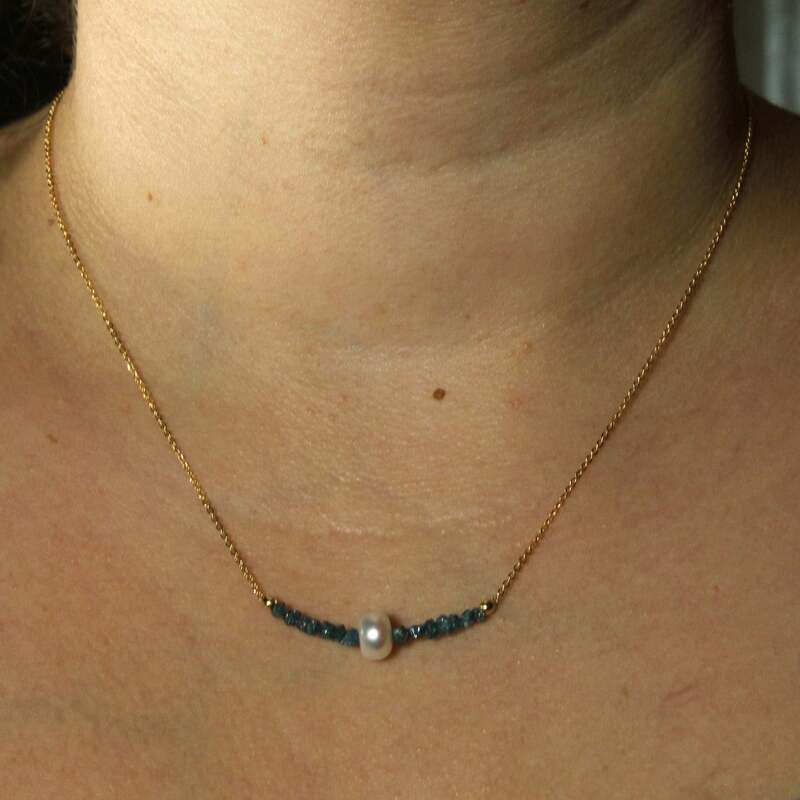 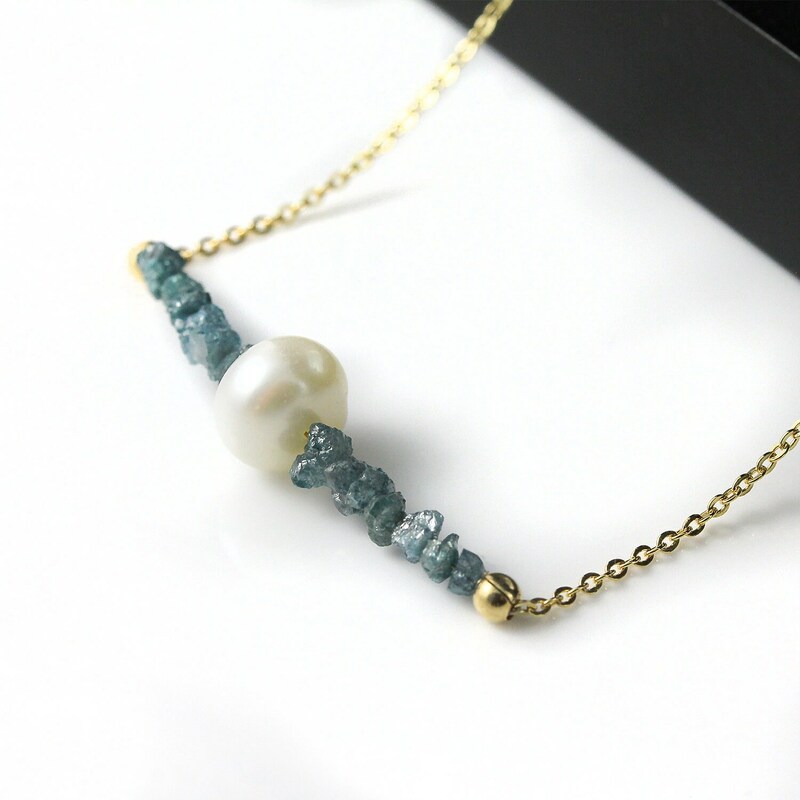 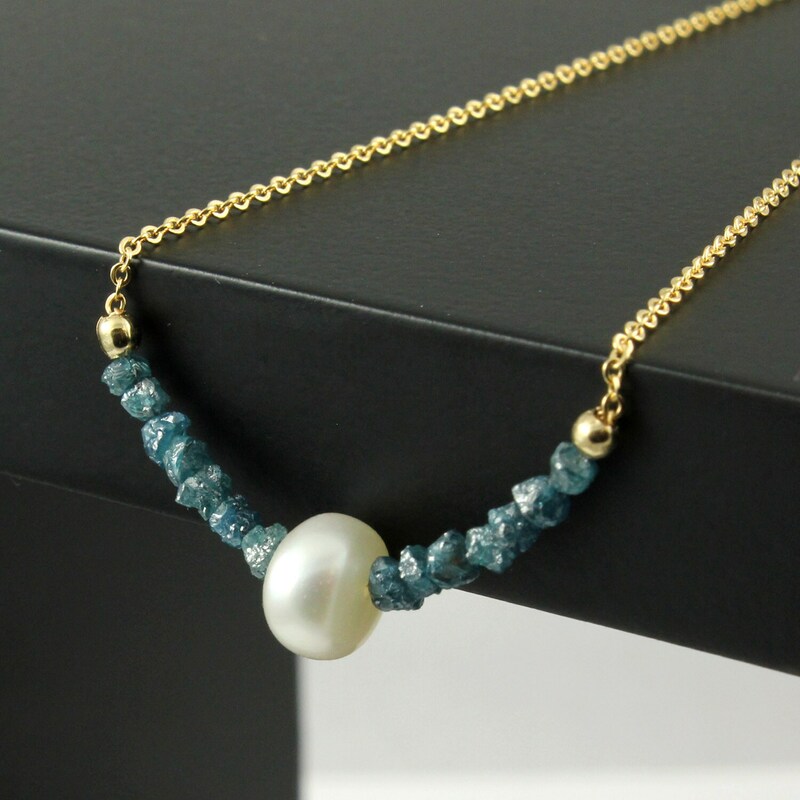 Classic and sparkly blue Rough Diamonds are assembled in 1 inch length with 8mm quality Freshwater Pearl on 14K Gold Filled chain. 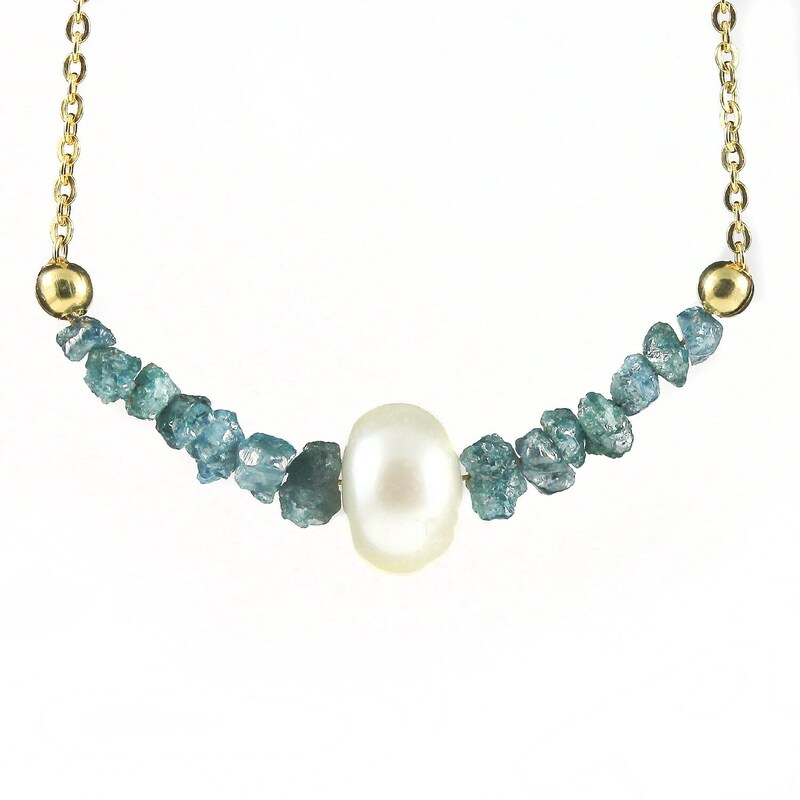 These are phenomenal blue rough diamonds that are graduated in size approx. 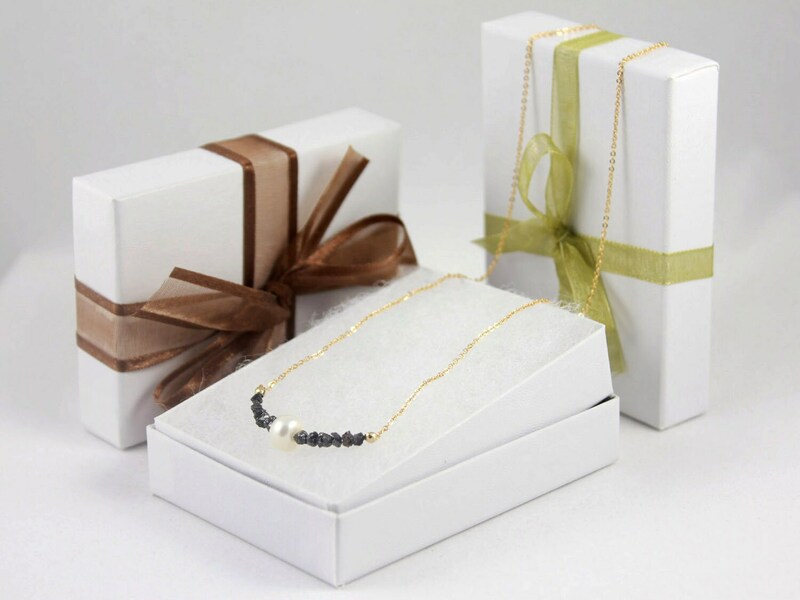 2.0-3.5 mm, weighting up to 1ct diamonds in total.